Make delicious treats for your party or simply give the gift of sweetness to your loved ones. 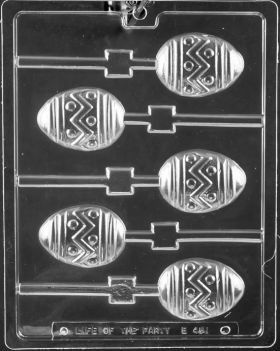 This chocolate mold makes 6 pieces at a time. 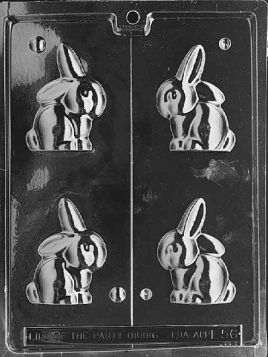 This is a first quality, tough plastic made in the USA. It is durable and reusable. Made of clear, environmental friendly PETG plastic. 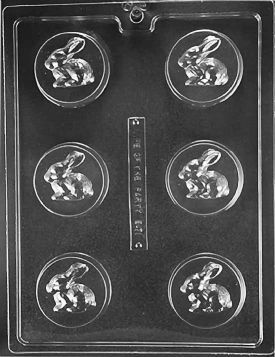 FDA approved for the use of food preparation. 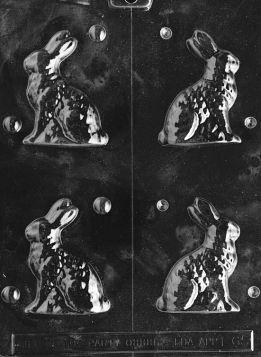 Show off these adorable chocolate bunnies for a happy spring-time celebration! 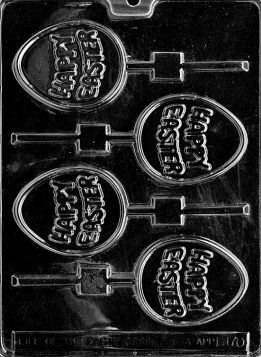 This chocolate mold makes 4 pieces at a time. 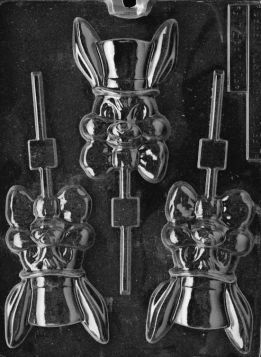 This is a first quality, tough plastic made in the USA. It is durable and reusable. Made of clear, environmental friendly PETG plastic. FDA approved for the use of food preparation. 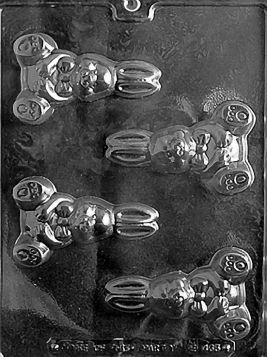 This adorable chocolate easter bunny mold makes for a spectacular Easter party! 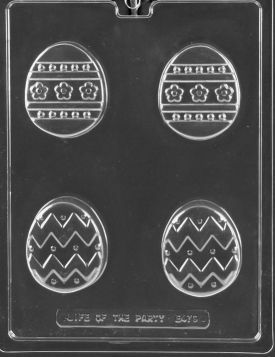 Give your guests an experience they’ll never forget with this beautifully constructed chocolate easter egg mold. 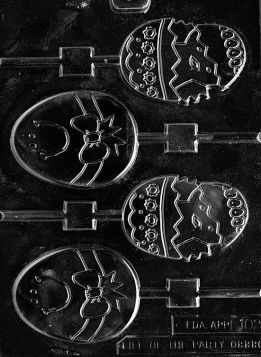 Add this egg-citing Easter chocolate mold to your shopping list and you won't be disappointed! 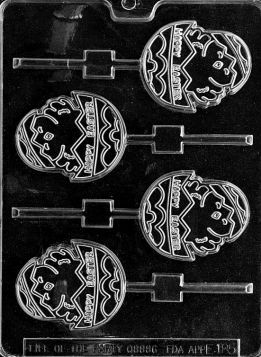 Enhance your Easter celebration with this hatching chick chocolate mold. Your guests will love it! 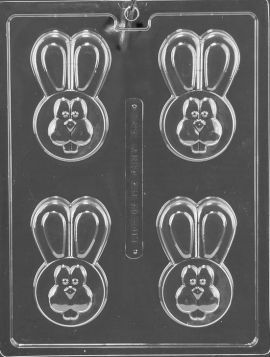 Have a "Hoppy" Easter with this adorable sitting bunny mold!